Cool. I'd work on this tomorrow, and you should have a test kernel in a day or two. Will keep you posted. 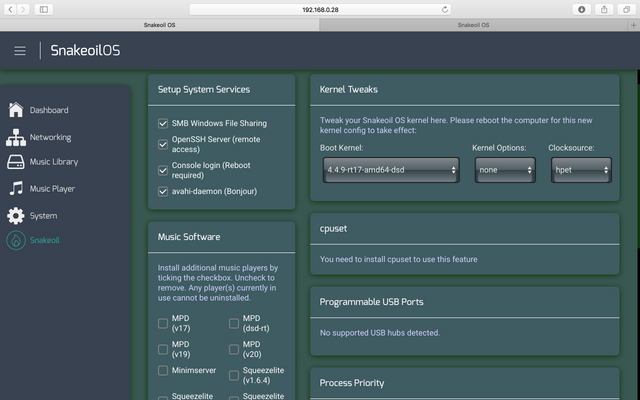 DSD kernel updated. Can you download that and test and let me know if there are any issues? DSD Kernel Thread. (01-Oct-2018, 09:11 PM) agent_kith Wrote: DSD kernel updated. Can you download that and test and let me know if there are any issues? DSD Kernel Thread. I'll give it a try. thanks a lot! Unfortunately does not work. 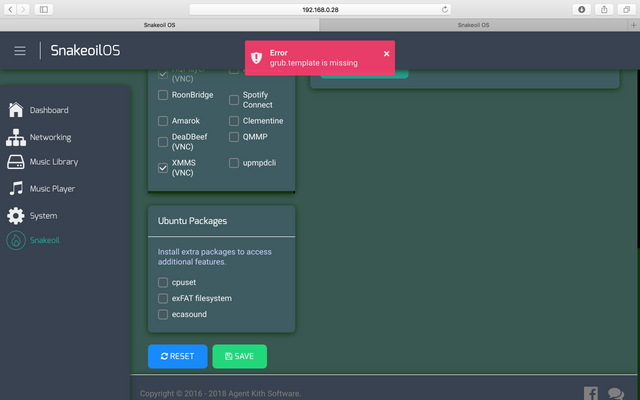 I'm supposed to download the Kernel from this thread right? Am I supposed to be selecting this new kernel? 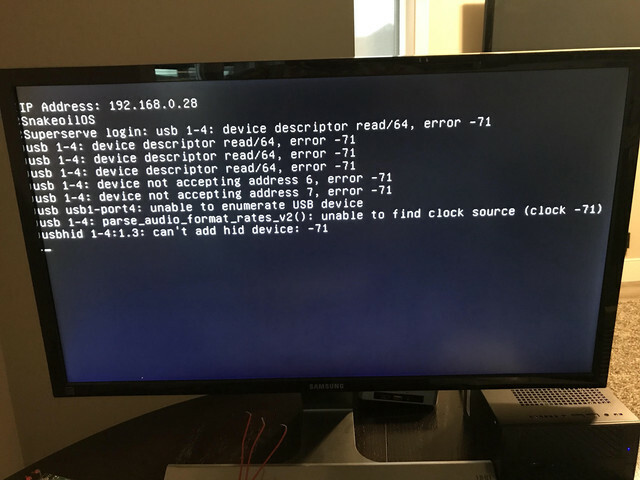 (03-Oct-2018, 12:47 AM) Mivera Wrote: Am I supposed to be selecting this new kernel? Apologies for the late reply. There's a bug in the ISO - a file is missing... Download the Blind Testing firmware, and upload it to the Snakeoil OS. That'd restore the missing file. Next, go to the Snakeoil menu and change the kernel to the DSD one, save. Finally go to the System menu, and click Reboot. Thanks. I tried what you said and still not working. However I am getting some error messages when I plug the DAC into the Snakeoil server. Should I be selecting one of the clock or Kernel options? (03-Oct-2018, 08:40 AM) Mivera Wrote: Thanks. I tried what you said and still not working. However I am getting some error messages when I plug the DAC into the Snakeoil server. Should I be selecting one of the clock or Kernel options? Hmm. Isn't this an XMOS chip? Do you know if this particular chip is supported by the stock USB audio driver? Or do you know if it's supported from which kernel version onwards? It's either driver support is lacking, or there's something wrong with the USB receiver. Are you able to confirm the DAC is working on Windows, iOS or a different version of Linux? Yes it's an Xmos chip. There must be something wrong with the code programming. It works fine up to DoP 128 on Windows and OSX. But not working with DoP or native on any Linux distro. Xmos has an issue with their latest Xcore-200 firmware that screwed up native DSD. The fix was to roll back to the previous version and change some lines of code. My engineer must have made some mistakes. I'll let you know when he has it sorted out.